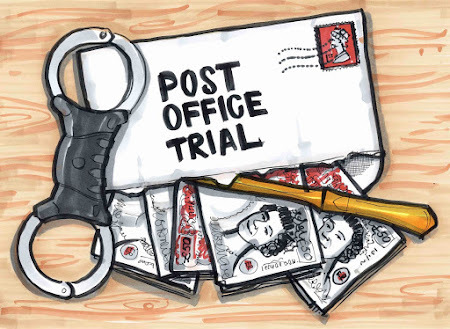 A former Subpostmaster writes: "She was simply regurgitating a lie"
"I am one of the first-tier claimants in the Post Office Trial and wanted to share my story in an effort to help expose some of what I consider to be the huge wrongdoings of the Post Office who now seek shelter behind the letter of the law to avoid responsibility and justice. 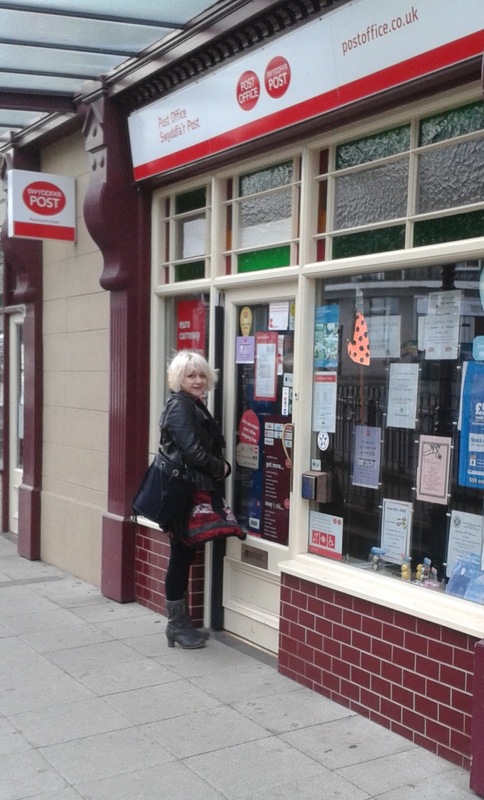 I took on a Local Plus Post Office in the village of Penmaenmawr near Conwy in North Wales in April of 2017 and closed its doors less than 11 months later on 28 February 2018, simply because I could no longer risk the financial lottery of what Horizon would come up with as my alleged losses at every balance and end of transaction period. I feared it would ruin me and possibly result in my own imprisonment. It seemed it would be impossible to prove that I had NOT committed a crime, and I knew that merely being innocent would not be enough to save me. I had worked for 20 years as a teacher before undertaking a role as an Education Officer with the council. I was made redundant from that job in 2015, and moved to Penmaenmawr with my partner Jon and youngest son that same year. Jon set up his own music shop in the village, and the business was growing. I felt ready for a complete career change. I already had previous experience of working in clothing and gift shops, and helping Jon out in his shop had rekindled my interest in retail. When the opportunity arose in 2016 to take on the Post Office in our village, it seemed to be the ideal opportunity for me to start up my own business, whilst retaining a valuable resource for our local community. As I had the additional experience of handling budgets and staff through my work as an Education Officer, I felt able to undertake the responsibility of running a Post Office alongside a retail gift shop. The projected extra income from the Post Office remuneration would, I surmised, offer some financial stability and help towards paying the overheads. My two eldest children were in their 20s and at that time held part-time employed positions elsewhere. Both had significant retail and cash-handling experience and were interested in coming to work for me. One existing member of staff was to remain in post until her retirement that summer, which would also help with the transition. Despite my application being rejected twice by the Post Office on the grounds of insufficient information regarding the previous postmistress’s convenience store accounts, I was finally offered an interview and was accepted just before Christmas of 2016. I was really looking forward to the prospect of finally taking over in April 2017 following the Network Transformation refit and training provided for myself and my two children. The whole process would take 8 months from my initial application in August to opening the doors just before Easter. There was certainly no incentive for the outgoing Subpostmistress to warn me of what I was getting into, as she would forgo her outgoing payment if a replacement Sub Postmaster could not be found. She had already agreed to convert her branch under Network Transformation but then changed her mind. I was told that this was on health grounds. If I had backed out and nobody else could be found, then she would leave with nothing. I had read in the press of alleged issues with Horizon in the past, and wanted to be sure that this was no longer a problem. Prior to our two day training sessions in Chester, I had only been into the branch for a few hours to observe staff and see how they processed mails transactions and segregated the mails. 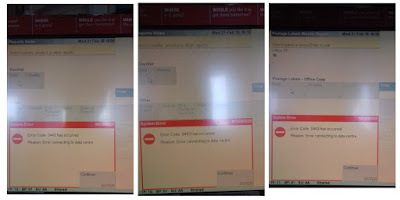 As we were using ‘dummy’ unconnected versions of the computer system during training, I asked our classroom trainer point blank whether there were still any ongoing issues with the actual Horizon IT system. She replied that Horizon was completely reliable, and that in actual fact, the Subpostmasters that had blamed Horizon for their losses had been found to be stealing. They had now been either sacked, prosecuted or in some cases imprisoned. I had no reason to doubt the honesty of her response. I had asked an important question during a training session, in front of witnesses. I had been given an answer that laid my concerns to rest. I now know that at the time of her answering my question in early 2017, there were recognised issues with Horizon that were known to the Post Office. I do not know whether the trainer was aware that she was not telling me the truth, or whether she was simply regurgitating a lie that had previously been fed to her as fact by her employer. I did not have sight of the full contract before signing a document saying that I agreed to what was in the full, unseen contract. I was told that this was ‘normal Post Office Practice’ and would receive the full version once my Post Office had opened. Having previously worked indirectly for the Government as a teacher and Council Officer, I felt I had no reason to doubt the integrity of the Post Office, given the Governmental involvement. How naïve I was. Getting to grips with running a Post Office was a steep learning curve. We were so grateful to a second trainer who came to shadow us for the first six days, but we felt worryingly ill-prepared. The classroom training and online instruction had taught us the principles and procedures of the most common transactions, but it certainly did not prepare us for every eventuality, for the idiosyncrasies of Horizon, the workarounds to deal with difficulties and the sheer multitude of different situations that you can be faced with on a daily basis. The online Horizon help system was slow, and could not be accessed mid-transaction. It also seemed to be a very clunky system that required you to know exactly where to look for an answer that may not even be there. Worse still, I discovered that I had not been properly trained to pinpoint reasons for discrepancies or most importantly, deal with issues during balancing at the end of the week. I had spent hours trying to find 'losses' that were apparent at one declaration, only to find that they had disappeared come the next declaration. We had been told during training that if we had a discrepancy, we had to keep looking until we found it and that it would always be in the cash or stamps. We just had to keep looking. I eventually realised that this was not the case. The onsite trainer also revealed that not all the transactional information was visible to us in our office, and worse still, she understood that if a card was declined for a withdrawal and we didn’t notice, then it would leave no trace on the transaction log, so we would never know what had happened. Having a system that doesn’t flag up a really obvious warning message to let you know that you shouldn’t hand over money to a customer seems to be one that is setting you up for failure. The discrete line of text saying the card has been declined is so similar to the line of text saying the transaction has been successful that it would be very easy to make an expensive mistake. Of course, Post Office do not care if you make a mistake, because it comes out of your pocket. I do not believe however that our significant and regular discrepancies were down to human error. No matter how careful we were, they kept on happening. When we monitored the system and made regular declarations throughout the day, the results were wildly different on each occasion. Horizon was perpetually unreliable, with both tills 'freezing’, sometimes several times a day. There was also fault on the phone line that has interfered with the tills from day one of my taking over the counter. Despite my pleas to various departments for this problem to be looked at, they never sent anyone out to investigate. I later discovered that everything apart from the lottery terminal had been plugged into the same BT line. I established that the two Horizon terminals, the Paystation and the telephone were all using one line via domestic phone ’splitters’. Even the alarm system may have been using this same line, as I was not aware of any other line used for this purpose. This would explain why our tills froze for several minutes every time the telephone rang. The ‘new’ modem installed in February (which the engineer told me was actually refurbished and therefore second hand) seemed to make matters worse. After the first two months of trading, remuneration plummeted from the ‘artificial’ figures that were supposedly based upon the previous Subpostmisstress’s figures. The Post Office had never gone into any detail about the rates for each transaction, and it seemed that no matter how hard we worked, the Post Office remuneration was usually at least £300 a month less than we had expected, and alleged ‘losses’ were making matters worse. My retail till was paying the wages of staff required for the Post Office. I was working full-time behind the counter and not taking a wage. I still needed an additional member of staff in at some point every day, as we were a Local Plus with two Post office tills and certain business customers could tie up a counter for 10 minutes at a time. We were dealing with far more banking than I had ever anticipated, and the security risk coupled with the financial risk was worrying and the returns for this were appalling. A low plastic screen seemed to offer little protection, and the new BIDI safes were prone to jamming, and so could not be relied upon. More worryingly, we were having problems every day in getting things to balance, and had called in the trainer to help us out whenever she could, but this was not always possible or practical. At first she found errors that we had made, as this was all new to us, but as time went on, despite being a trained auditor, she too was having no joy in tracing the root of the supposed ‘losses’. The online help was useless, and the telephone helpline had actually caused me to double a shortfall by giving me the wrong advice on one occasion. We also couldn’t use the landline and the tills at the same time. I ran up a personal mobile phone bill of over £100 in two weeks trying to sort out Post Office problems. On one occasion, I inputted the wrong amount of euros held during balancing. When I tried to correct this error, it made the discrepancy worse. I phoned the helpline, and I was told ‘I can’t help you because I can’t see your screen’. I asked if someone could come out to help me rectify my mistake, since all the euros were present and correct but I had made an administrative error. I was told that as the loss was only for a few hundred pounds ‘We don’t send anyone out to sort something that small’. This went down as a loss for my office at the end of that Transaction Period. Errors made when sending back money or stock would also be my financial responsibility. On one occasion, I sent back currency that the cash centre said they were unable to trace. I assumed that I may have made a mistake when preparing it to be sent. I could not find a papertrail for what I knew had left my office, and the Cash Centre said they didn’t have it. I was having to follow instructions in a training booklet and if I made an error, the booklet didn’t show me how to go back and correct things. I was out of my depth and when phoning the helpline for advice, you were either very lucky and spoke to someone who knew what they were talking about, or very unlucky and on hold until you gave up or stuck with someone reading from a help screen who knew little more than you. “…As a whole, I have to say that I expected a better level of overall support from Post Office, and have been left on hold by the Helpline for up to 40 minutes at a time on more than one occasion. I did not expect that my liability for any losses would be determined by a computer system that often produces out of sync statements of the money it expects us to have in the till and the safe, and was horrified to have the advice given to me by one of the helpline staff to rectify an error then result in an additional £400 shortfall. Luckily, I realised what they had done and contacted another member of the helpline staff who was able to advise me how to reverse the error. Had I not done a variance check immediately after talking to the first staff member, I might never have found out the cause of the £400 loss. I already knew that there was no transcripts or record of the conversation that had doubled the shortfall. I had complained to another member of the Helpline staff and been told there was ‘nothing written down for that call’ and that I ‘must have made a mistake’. I began printing off miles and miles of transaction logs, taking photographs of frozen screens and logging examples of system freezes and crashes in the hope that one day they might help to prove my innocence, should I be suspended. Less than a month later, I emailed Paul Williams to inform him of my intention to relinquish the Post Office counter the following April, regardless of the contractual consequences. I could no longer cope with the stress of being unable to balance the tills, the worry of what figures the system may come up with next and the complete and utter abandonment of us by Post Office. By October 2017 I could no longer afford to employ my son, and the Christmas rush was handled by myself working all day, six days a week, and my daughter helping out whenever she could, subject to how much I could afford to pay. Following the closure of the two closest Post Offices, we were now the only functioning counter for a catchment area of over 7000 inhabitants. At one point in the run-up to Christmas my partner Jon had to step in and physically lock the door to stop customers coming in as the queue was around fifteen people deep and had been all day. I could no longer cope. I had been working flat out by myself for five hours without stopping. I was so scared that I would make a mistake and couldn’t even stop go to the toilet. I couldn’t afford any extra help, and my email to Paul Williams informing him of our situation and asking for help had been ignored. I was at breaking point. Were it not for stumbling across the Facebook page of the CWU and reading the stories of other Subpostmasters who were having the same struggles as I was, I would have continued to think I was alone in my plight. I would also have been too late to join the class action against the Post Office. 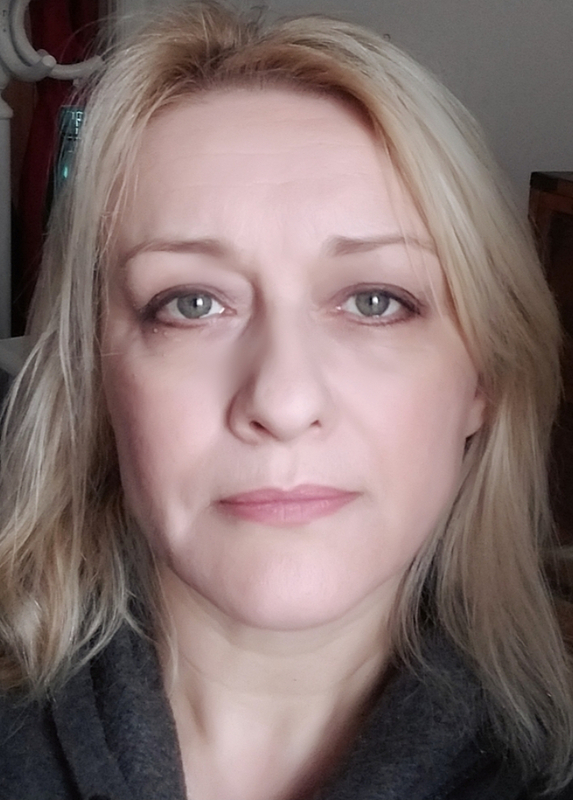 The relief I felt in knowing that this issue was not just my problem was immense, shortly followed by anger at how I had been made to feel that I was stupid and that all the discrepancies had been our fault, or worse, that I or one of my own children was stealing Post Office money. As it transpired, I found myself unable to continue as long as I had hoped. I aimed to close exactly a year after I opened, but after a supposed discrepancy of over £700 in the middle of February the system came up with another alleged shortfall of over £300 after less than 8 hours trading. This was during a period of quite heavy snowfall with hardly any customers and only myself in the office. It was not possible that this was theft or human error. I knew I had to get out. I emailed Paul Williams on February 28th 2018 to tell him I had closed the counter. Within a month of this, I also took the difficult decision to close the shop entirely. Pulling the plug on the Post Office counter had forced people to go further afield for their cash and postal needs. This, in turn, had resulted in virtually no customers for my shop. 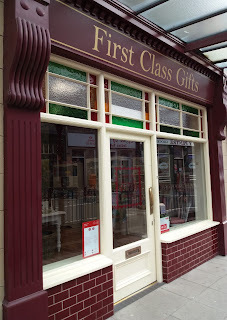 It also had a massive impact on other small shops in the village. I could no longer afford the rent and had hundreds of pounds worth of stock unsold. I had suppliers’ invoices to pay and the future looked very bleak. I returned to teaching and now work as a supply teacher in order to pay off the bills and have spent the last six months selling off my stock at car boot sales and on ebay for less than the price I paid for it, simply to generate money to pay off my business debts. It is my belief that the Post Office hierarchy are knowingly dismantling the system from within. They know it is only a matter of time before the ship runs aground, and they don’t care about the crew. They are still dining at the Captain's table and enjoying the cruise. As I write this, the Post Office are already grooming another shopkeeper in our village to take on a counter within his shop. I have pleaded with him to read the information that is out there, and to consider what the impact of his decision might be, but the Post Office has already wooed him with the promise of footfall and a steady income. He is due to open in just a few weeks. He mistakenly thinks that everything will be ‘fixed’ by then. I can only hope that the outcome of these trials will finally bring the truth out into the open before more livelihoods are ruined." There are questions to be asked of the Post Office here - particularly with regard to what it tells incoming Subpostmasters. The trainer who trained Helen, according to Helen, wittingly or unwittingly lied to her. If the Post Office is instructing its trainers to lie, or telling them a lie, or this individual trainer is spreading untruths of her own accord, it seems to me this should be addressed immediately. Most reasonable people would think the Post Office has a moral obligation to warn incoming Subpostmasters of the risks they are taking on, even if there is no legal obligation. Unfortunately the Post Office has a vested interest in maintaining the fiction that substantive problems with the way Horizon works do not exist. The sad thing is that outgoing Subpostmasters and the NFSP (see my previous post) have the same vested interest. 2. Which, if any, of the terms in the paragraphs listed below were implied terms (or incidents of such implied terms) of the contracts between Post Office and Subpostmasters? But I suspect that is more likely to address the responsibilities of the Post Office after any contract is signed. What the legal obligations of the Post Office are before signing any agreement don't appear to be under consideration in the ongoing litigation. If I have got this wrong and someone knows better, please get in touch.